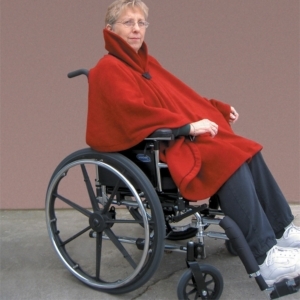 Wheelchairs are absolutely essential for anyone who has lost their ability in the lower and/or upper body. 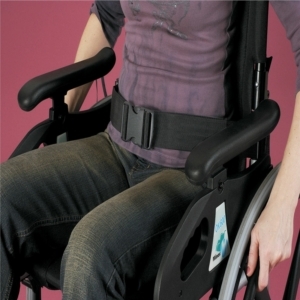 They provide you with support to get around despite the loss of these functions, whether independently or with the help of someone who can propel the chair for you. 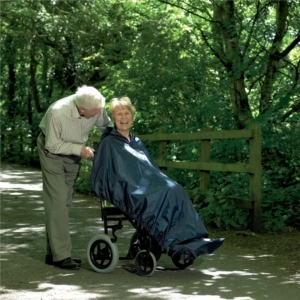 At Millercare, we understand exactly how important a wheelchair can be in transforming your life. 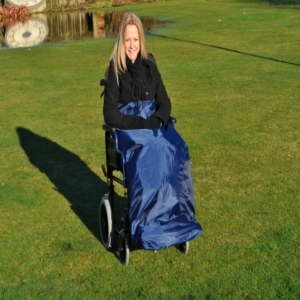 Therefore, we sell a number of excellent wheelchair accessories such as bags, covers and wheelchair trays to help make using a wheelchair as comfortable and as simple as possible. 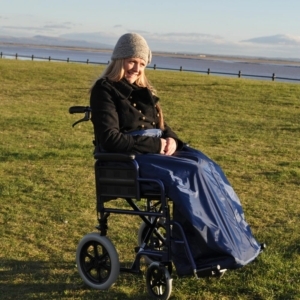 One of the complaints often made about wheelchairs is their lack of storage facilities. 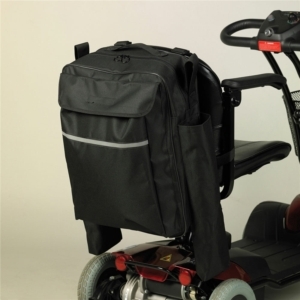 For many people, wheelchairs are the only way to get around independtly but, unfortunately, wheelchairs do not provide the ability to easily store personal belongings or purchases you make. 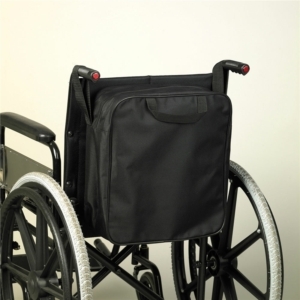 To help resolve this complaint, we have a handful of wheelchair bags available. 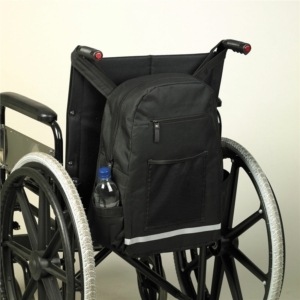 These handy wheelchair accessories can be securely fixed onto the chair and function like rucksacks. They let you carry your personal items including walking sticks, handbags or additional clothing. 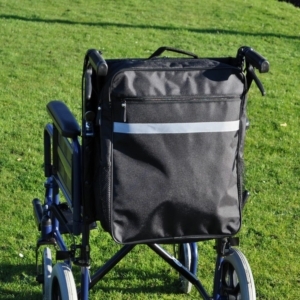 The wheelchair bags are spacious, weather proof and can be easily accessed from your seat. 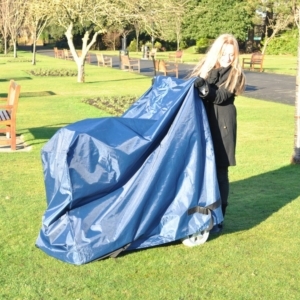 Wheelchairs often need to be stored in a vehicle or mount tall objects. 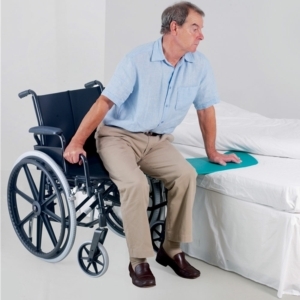 When this need arises, the weight and design of a wheelchair can make it difficult to overcome these obstacles. However, Millercare provides a number of affordable wheelchair ramps that provide greater accessibility in situations just like this. They can be used either portably or permanently. 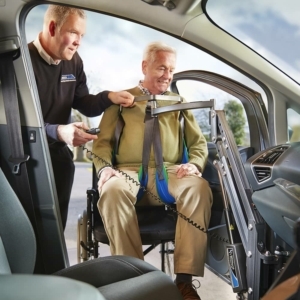 They can be taken with you in cars, for instance, or fixed on front door steps to make getting in and out of your home much simpler. Protecting yourself from the worst of Britain's weather can be difficult when you are in a wheelchair. 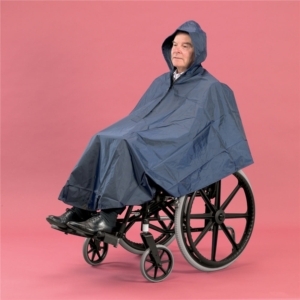 Many people who use them have probably experienced getting caught in a downpour. 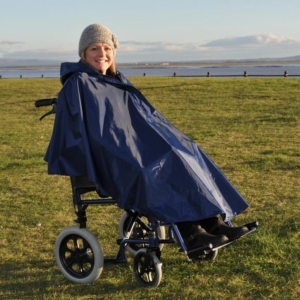 Having to use a wet chair or the struggle to get a coat on with limited mobility can be frustrating, displeasing and uncomfortable. 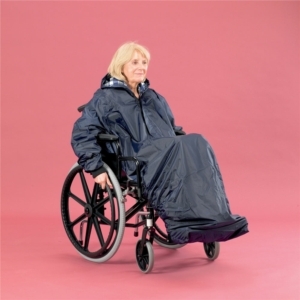 Millercare provides a number of fashionable and practical clothing options specifically for wheelchair users. These coats will help you remain dry, comfortable and warm. 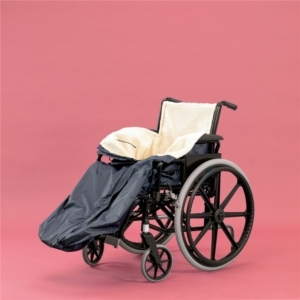 Why purchase wheelchair accessories from Millercare? 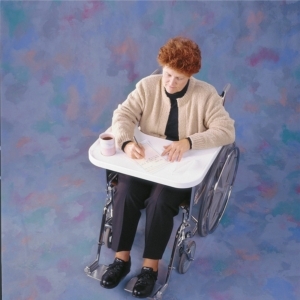 Millercare has been providing mobility and healthcare products for the last 50 years. It has provided us with the experience and knowledge of provide only the highest quality wheelchair assistance products on the market. 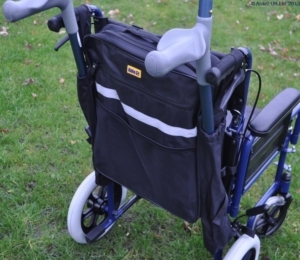 Whether you need wheelchair gloves, wheelchair trays or other accessories of that type our online store allows you to choose from a range of these items, and orders over £30 will be delivered completely free of charge. You can also visit us at one of our showrooms around the north west of England. We have stores in Manchester, Warrington, Wigan, Bolton and many other areas.